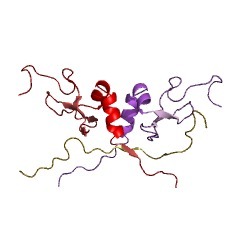 There are 1565 ChSh domains in 1560 proteins in SMART's nrdb database. Taxonomic distribution of proteins containing ChSh domain. This tree includes only several representative species. 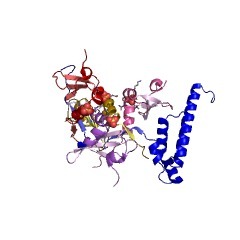 The complete taxonomic breakdown of all proteins with ChSh domain is also avaliable. Click on the protein counts, or double click on taxonomic names to display all proteins containing ChSh domain in the selected taxonomic class. 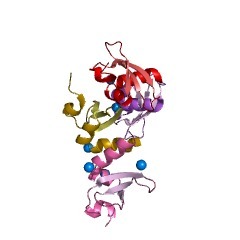 The chromo shadow domain, a second chromo domain in heterochromatin-binding protein 1, HP1. 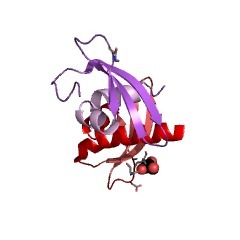 The chromo domain was originally identified as a protein sequence motif common to the Drosophila chromatin proteins, Polycomb (Pc) and heterochromatin protein 1 [HP1; Paro and Hogness (1991) Proc. Natl. Acad. Sci. USA, 88, 263-267; Paro (1990) Trends Genet., 6, 416-421]. 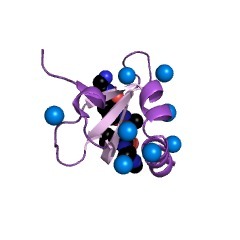 Here we describe a second chromo domain-like motif in HP1. 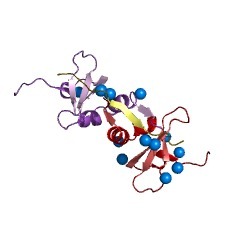 Subsequent refined searches identified further examples of this chromo domain variant which all occur in proteins that also have an N-terminally located chromo domain. Due to its relatedness to the chromo domain, and its occurrence in proteins that also have a classical chromo domain, we call the variant the 'chromo shadow domain'. 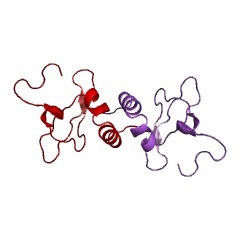 Chromo domain-containing proteins can therefore be divided into two classes depending on the presence, for example in HP1, or absence, for example in Pc, of the chromo shadow domain. 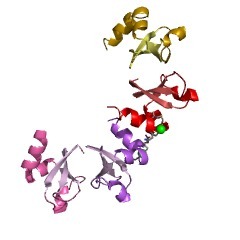 We have also found examples of proteins which have two classical chromo domains. 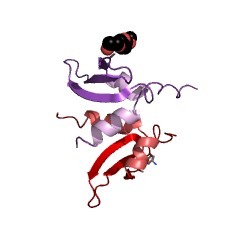 The Schizosaccharomyces pombe SWI6 protein, involved in repression of the silent mating-type loci, is a member of the chromo shadow group. The similar modular architecture of SpSW16, HP1 and HP1-like proteins supports the model that the specificity of action of chromatin proteins is generated by combinations of protein modules. The chromo superfamily: new members, duplication of the chromo domain and possible role in delivering transcription regulators to chromatin. Using computer methods for detecting conserved amino acid sequence motifs, we show that the chromatin organization modifier (chromo) domain that has been previously identified in several proteins involved in transcription down-regulation is present in a much larger group of (putative) chromatin-binding proteins, some of which are positive rather than negative regulators of transcription. The most interesting new members of the chromo superfamily are Drosophila male-specific lethal (MSL-3) protein involved in the X chromosome gene dosage compensation in the males and human retinoblastoma-binding protein RBP-1. We show that the chromo domain is duplicated in several chromatin-binding proteins and use this observation to interpret recent results on chromatin binding obtained with chimeric chromo domain-containing proteins. We hypothesize that the chromo domain may be a vehicle that delivers both positive and negative transcription regulators to the sites of their action on chromatin. 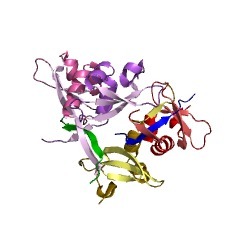 1e0b Chromo shadow domain from fission yeast swi6 protein.